James Ladocha leads the illustration team at our Northampton office. He creates, and oversees the formation of, illustrations and figures for all Northampton’s output, including pre-excavation documents, client reports and publications. 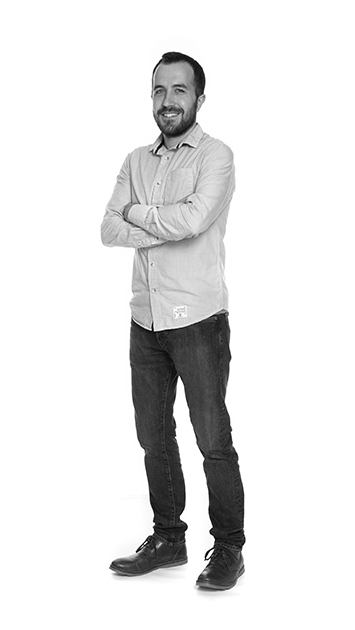 James joined the team in 2006 and has been working in the illustration office since 2011. He also carries out on-site surveys and the subsequent spatial data processing. This can range from landscapes to smaller earthwork surveys and excavations using a variety of techniques. One aspect of this is the piloting of a Small Unmanned Aircraft to rapidly capture accurate data using photogrammetry. James also applies photogrammetry techniques to wider aspects of archaeology, from historic buildings and areas of excavation, to artefacts. The results have been accurate 3D models that are easily assessable to clients and the wider public.